Many people seem to know what positive reinforcement means. People assume that negative reinforcement means exactly the opposite – that you do something nasty like hit or yell at the dog. This is not true. Negative means subtract. Reinforcement means to strengthen. Put them together and it means that you take away something nasty in order to increase a particular behaviour. Negative reinforcement stymies even pet professionals. An example would probably be helpful. By viewing this quadrant from a human situation, we can better recognize negative reinforcement – how it acts and maybe even how it feels. This is negative reinforcement. You can escape repeated phone calls, making them stop, if you increase your bill paying behaviour. Yes, it is true that collectors must start calling in order to stop. Stopping the discomfort is key element doing all the work. That is how we know it is negative reinforcement. People with sufficient money with perfect payment histories might never feel the stress of collection calls. They AVOID nagging calls and letters. Most people slip up at least once. They ESCAPE the uncomfortable nagging by paying the bill. They feel relief. Anxiety goes down, at least temporarily. When the next bill deadline looms anxiety resurfaces It’s potentially a roller coaster of highs and lows. Those that run into a financial crisis face waves of calls and letters that go on and on and on. There is no peace or reprieve. Those unable to pay have no real means of ending the barrage. One can easily start to understand how the inability to ESCAPE could make some people snap. 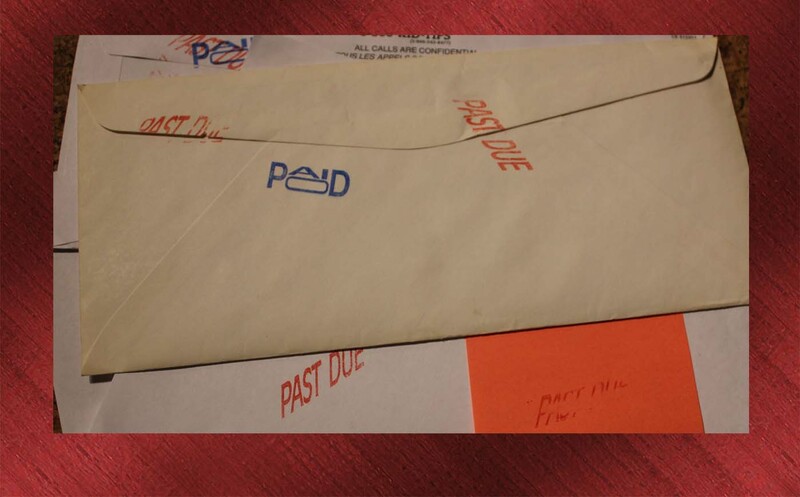 Calls and letters can only be stopped one way – through paying bills. Unless you’re dealing with the mafia, bill collectors are not abusive. Phone calls and letters aren’t typically traumatic. These things are part of daily life. It is interesting that people often complain about the HARASSMENT from bill collectors. No disrespect meant to those that do the job. However, one can easily see how repetitive nagging can be upsetting. Relief that comes from getting that monkey off your back is a sweet – sweet reward. While it might be a “reward” and it might feel good to feel the relief, people generally don’t like bill collectors or the process. The exception being if you hired bill collectors to work on your behalf. In dog training, we don’t use bill collectors. Some trainers offer relief from pain, discomfort or fear. You can generally recognize negative reinforcement if something is stopped or removed when the dog complies. If you come when called, I will STOP the continuous shock. If you take the dumbbell in your mouth, I’ll STOP pinching your ear. If you sit calmly, I will let you MOVE AWAY from something scary. Dogs learn to obey faster and faster in order to stop the discomfort sooner. If the dog happens to become PERFECT, they might obey so quickly they avoid discomfort altogether. Other dogs fail to comprehend, in which case the discomfort is unrelenting. Like the person facing bankruptcy, the dog just snaps or gives up. Can it work? Sure. Bill collectors “work” at least some of the time. If all you want is your money, you might get it. They do not work all of the time. If your goal is teaching financial responsibility and money management, you might want to consider another strategy. Bill collectors do not call teenagers, giving them a taste of what might come if they mess up in their adult lives. That task rests with parents, teachers and even lenders. Even lenders want to avoid the use of collection agencies. The question should never only be if it works. We need to compare the results to the risk. Clearly, there are risks; so many that they are best left to a blog of their own. 1 – Perfect pups may look happy – like perfect bill payers. You can’t necessarily read a dog’s body language accurately and determine if coercion was used, especially if the dog has learned to completely avoid the aversive. 2 – Negative reinforcement does not need to be violent or abusive in order to cause significant discomfort. Bill collectors aren’t abusive and neither are most dog trainers. 4 – The inability to escape can send you over the edge, and it can send your dog over the edge. Some have referred to this as a “ticking time bomb dog.” Jean Donaldson’s webinar on negative reinforcement touches on this. Do you want to live your life as a bill collector? Would you choose that road if an alternate existed? Previous Previous post: A DOG-cumentary worth sharing. Nature of Things. A Dog’s Life. Next Next post: Yes you can reinforce fear…..or at least enable it. Lately, there has been a move back toward use of negative reinforcement strategies by some more or less positive trainers. My strong belief is that if we trainers adopt a more self-critical eye in determining whether our own execution of more benign techniques is lacking, then we will be less likely to pursue R- when that less invasive technique seems not to be working. I love using analogies to help people understand things and I think this one is excellent! Thank you for another great post.